Now that I am a full-time online freelancer and a frequent traveler, I consider my laptop as one of my precious possessions in life. Without this, I can't get paid and I won't be able to stay connected to my loved ones. Because of the changing demand of my lifestyle, I am in constant search of the best laptops. 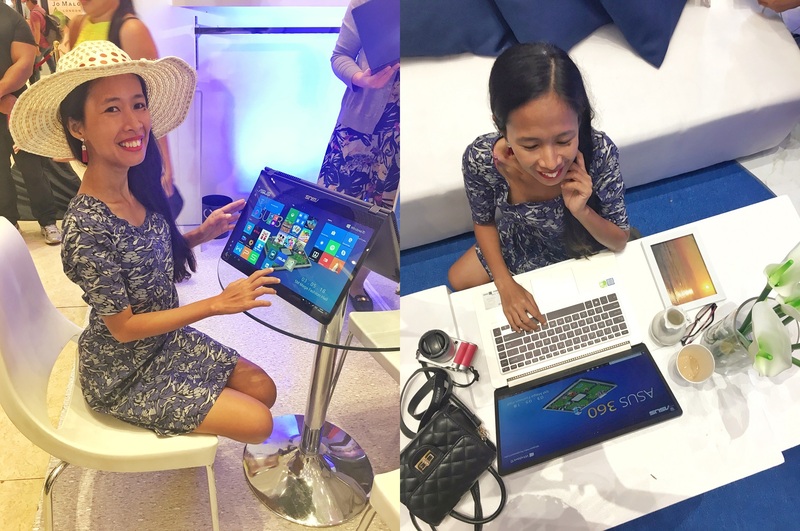 That's why I did not think twice joining the ASUS Philippines' launching of its newest compact & lightweight premium notebooks: ASUS X407 & X507. 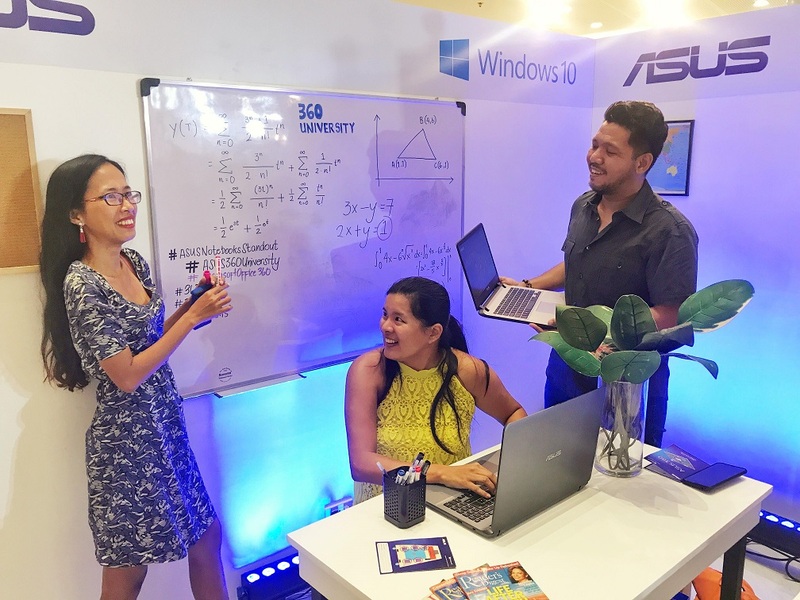 ASUS Philippines called the event ASUS 360 where were able to try first hand these new laptops designed for daily computing and entertainment. Months ago, I did ASUS Zenfone 4 Max product review -I have nothing but praise and same with these newly-released ones. I'm not a tech geek but after this event I can say this laptop the one I would want to keep! What's new with these laptops? Both have a dual-storage design with a 1TB HDD and pairable with an M.2 SSD. Both feature a fingerprint sensor for quick and easy logins with Windows Hello. X507 is extremely portable, with an overall weight of just 1.68kg. The 14" version, ASUS X407, weighs just 1.42kg. I tell you, if you're looking for a laptop that offers great performance, portability and premium design without hurting your wallet - THIS IS IT. I'm a Windows user all my life so it was nice to know that these ASUS laptops are run by Windows 10 operating system. It's one of the most recent versions of Windows that that supports never heard Windows features such as Cortana with voice recognition, allowing the user to wake the device from sleep mode simply by saying the “Hey, Cortana” command. For maximum convenience and compatibility, X507 includes a USB 3.1 Gen 1 Type-A port, two USB 2.0 ports, an HDMI port and a microSD card reader, as well as 2x2 802.11ac Wi-Fi and Bluetooth® 4.2, despite coming in an ultrathin form factor.Both laptops support fast charging, requiring only 49 minutes to charge a near-flat battery to 60%. ASUS, a brand that values long-lasting gadgets also equipped these laptops with ASUS SuperBattery technology ensuring a 3X-longer battery lifespan compared to traditional laptop batteries. These laptops are made of full HD NanoEdge display with a slim bezel for an immersive viewing experience. What I like about it more is that it has bigger screen plus even if you're a few steps away, with its 178° wide-view technology - you can still see clearly what's on your screen much clearer than an ordinary laptop! Even if you are far away, it enables viewing from extreme angles without any color shift, making it perfect for sharing content with friends and colleagues. For a 15.6” laptop, X507 is extremely compact and portable — with a thin 21.9mm profile and an overall weight of just 1.68kg. Meanwhile, the 14” X407 weighs just 1.42kg. Two choices: Star Grey or Icicle Gold finishes. Moreover, with a thin 7.1mm bezel and 73.8% screen-to-body ratio, the NanoEdge display on X407 provides you with more screen area for more immersive viewing. X407 and X507 are entry-level laptops but these are equipped with features much better than the average. Both have a built-in fingerprint sensor for quick and easy logins with Windows Hello. With each fingerprint being unique, it’s a more secure way of ensuring user profiles and data stay safe. A 360° recognition function ensures accurate scanning, even if the user’s hand is wet. How cool is that? and realistic visuals; while Splendid display technology optimizes imagery to provide richer, deeper and more accurate colors. What's a great video without a great sound? Of course, ASUS knows that too. These laptops also have ASUS SonicMaster-enhanced audio developed by the ASUS Golden Ear team — it delivers the most incredible sound ever heard on a laptop! Think of a mini-version of the sound you hear when you watch movie in your favorite theater house! 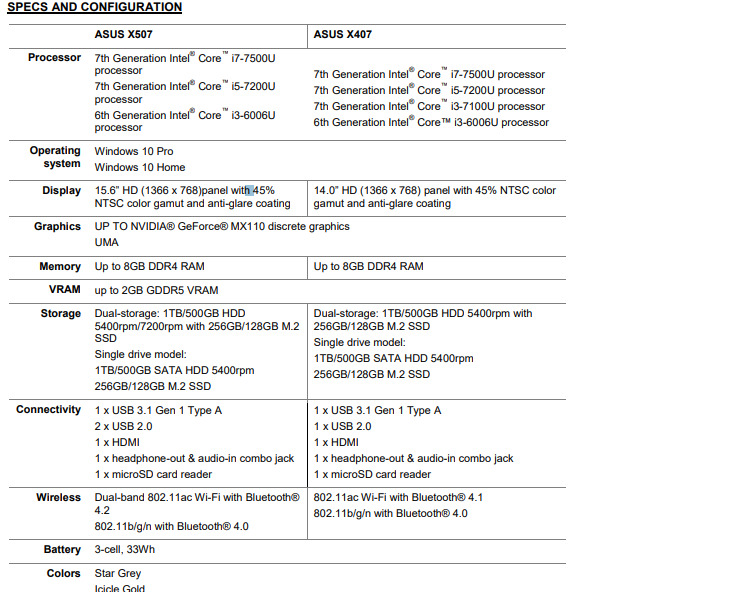 When and where can I buy ASUS X407 & X507? This coming third week of March, you can buy your very own ASUS X507 or ASUS X407 exclusively sold in Lazada Philippines for as low as PHP 27,995! You can also buy from ASUS authorized dealers and resellers by April 2018. I am as early as now looking forward to bring home one of these laptops!